Loveland Therapist: Keaton Brown - Therapist 80538. Send A Message To Keaton. Life can hand out many challenges and road blocks that are difficult to overcome; however, with the appropriate tools of support and guidance, everyone can rise above these challenges and live a meaningful and fulfilling life. With an approach based upon a variety of modalities and techniques, Keaton will help you develop the necessary skills to achieve your personal and life goals. Counseling will allow you to gain an awareness about yourself that will immediately change your life for the better. You will acquire the confidence and knowledge needed to grow into the person you want to become. The skills that you learn in counseling will help you in your current situation as well as all future endeavors. Keaton has extensive experience assisting and guiding individuals of all ages, from pre-teens to seniors. He works with adolescents and families in overcoming various life challenges, such as family difficulties, behavioral issues, end-of-life issues, grief and loss, depression, anxiety, addiction and substance abuse. I also have a strong understanding of the effects of divorce, the changes that take place in a blended family, as well as health and wellness issues. I use a variety of counseling techniques designed to maximize healing and forgiveness while empowering you to move forward in a positive environment. Keaton works side by side with his clients towards bettering their lives and achieving their goals. Through openness, hard work, and trust, Keaton believes that everyone is able to improve themselves in the counseling process. He creates an environment that is physically and emotionally safe, allowing his clients to feel comfortable while in session. With a strong belief in the client-therapist relationship, Keaton works hard to create a trusting and relatable relationship with his clients. 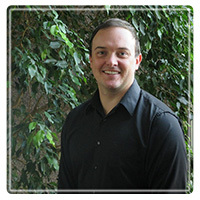 Keaton has experience working with adolescents as he has previously worked in a residential treatment center. Being an teenager can be difficult, and Keaton knows how to relate to these individuals to help them overcome the obstacles that that stage of life often brings. In addition, Keaton can help teens achieve their sports dreams by offering sports counseling. If your relationship is struggling, Keaton has worked with many couples in the most challenging times of their relationship. Whether it is communication, intimacy, or affair recovery, Keaton will support and provide solutions for the couples he works with. If you think that Keaton would be a good fit for you or a family member, call him today to set up your free initial consultation. 970-227-2770.